but you can always choose who you are." 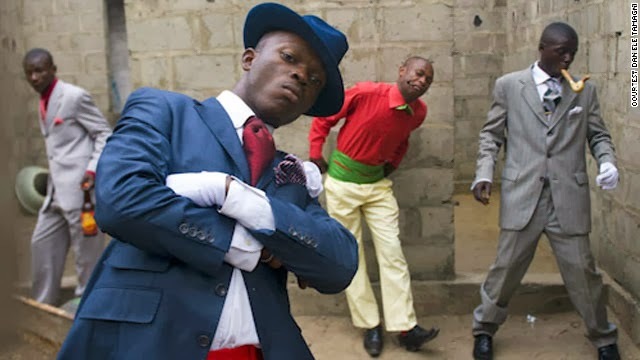 The Society of Elegant Persons of the Congo, better known as the Sapeurs, "They have a simple philosophy: to defy circumstance and live with joie de vivre," explains the narrator in Guinness's "Sapeurs: a Short Documentary" below. "I have the gift of creativity because I read a lot of magazines and watch documentaries," says one gentleman. The newest "Made of More" ad from Guinness, shines a light and gives us reasons to admire the "Sapeurs". In the Guinness commercial, we see real-life Sapeurs after a day of hard work, transform themselves into vibrant icons of the local nightlife.